LOOK! 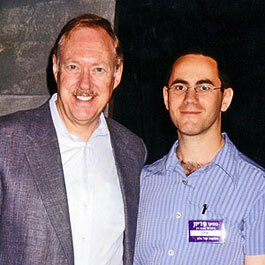 Want to see Kryon's return to Israel in 2005? 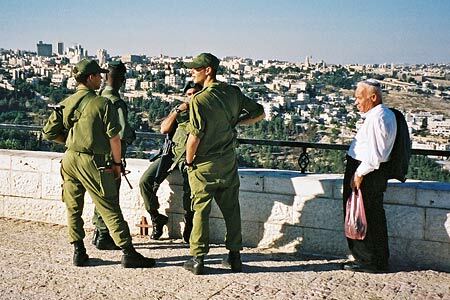 (above) Jerusalem and The ever-present military, (below) and with a very contrasting figure. 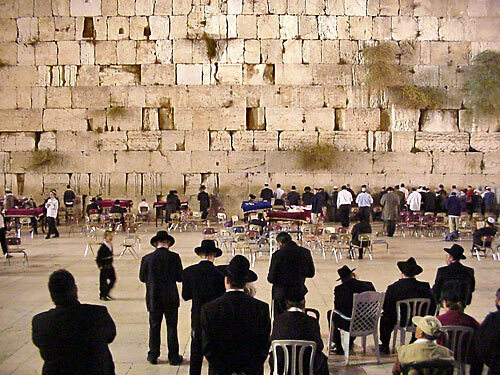 Jerusalem - 2000 The "Western Wall" where prayers are being given. 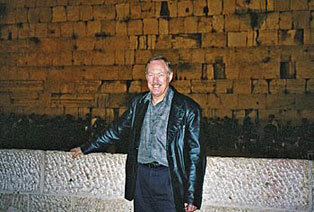 (above) Lee Carroll at the Western Wall's boundary. Lee says that being here to see this tradition was a very moving and extremely special experience. 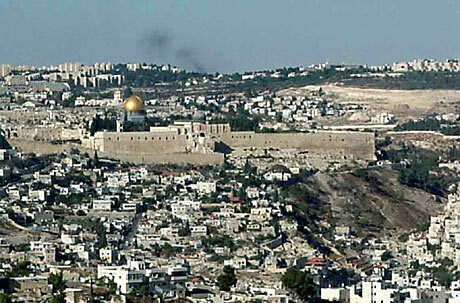 (above) Jerusalem: This is a view of the old city. 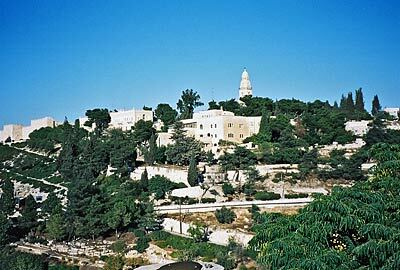 On the left you can see the wall, and Har Zion (Mt. Zion) is where the tall building is. Yes... it's like a live tour of the Bible! 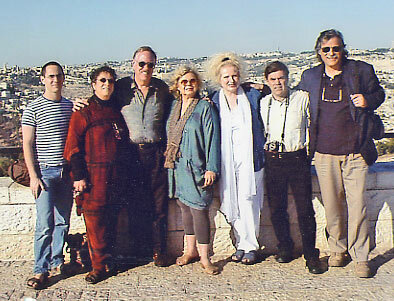 (above) Left to right, (hosts) Ilan Vainer-Cohen, Yonina Jacobs, Lee Carroll, Jan Tober, Peggy Dubro, Robert Coxon, Steve Dubro. This was before Lee shaved his mustache, and before Ilan got married to Peggy Phoenix Dubro's daughter! My how things change! 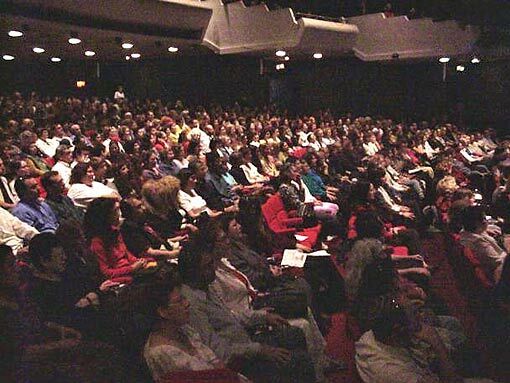 (above) 1100 people assembled into the Fine Arts Theatre of Tel Aviv. We got this facility since the opera, which was slated for this day, was cancelled due to the unrest. It was a grand energy! 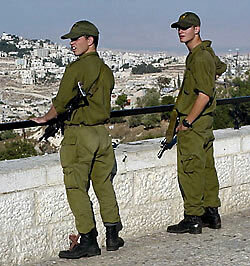 (left) Jerusalem - The old city. Unrest in the distance, indicated by smoke, is a constant reminder that there is still much turmoil in this Holy place. 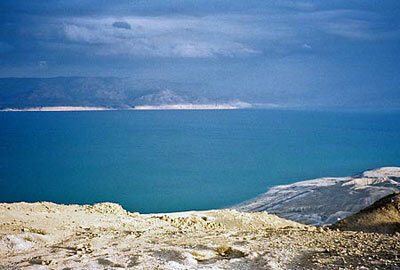 (above left) The Dead Sea is called that since it is very salty, and nothing can live in it. (above right) The desert is also very barren, but the beauty of both of these places is awesome! 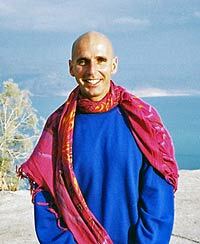 Muli was our guide and very knowledgeable Lightworker in Israel. 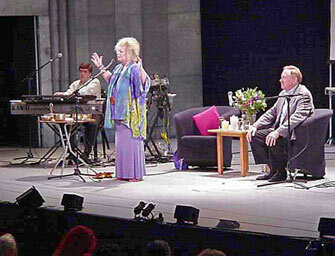 He gave Lee one of his colorful scarves... and it is cherished! At the left is Qumrân. Qumrân, also called Khirbet Qumrân (stone ruin), an ancient Jewish settlement in Palestine, near which the Dead Sea Scrolls were found in 1947. 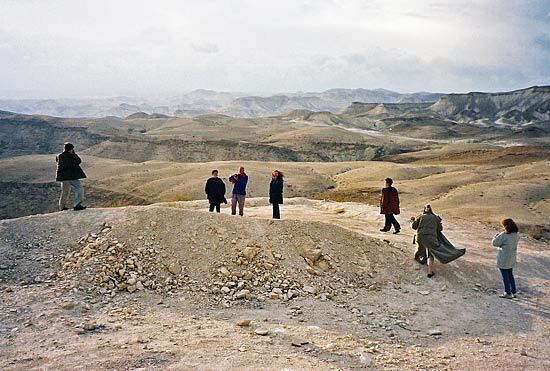 About the time of Christ, Qumrân was the center of a large religious community, probably one of the Essene sect. 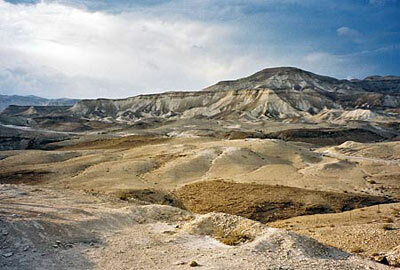 Qumrân was probably settled about 135 BC and was destroyed by the Romans in AD 68. Archaeologists, excavating the site following the discovery of the scrolls, identified a number of rooms and found a cemetery with more than 1000 graves. 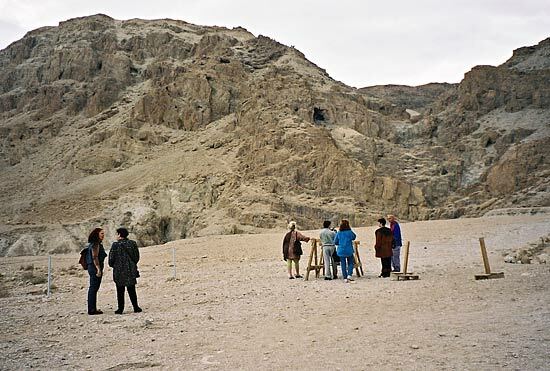 (top) Here you see the Kryon team looking up at the actual cave where the first scrolls were discovered. The bottom photo was taken on a higher portion, some distance from the actual caves. Robert Coxon decided to go for a swim! 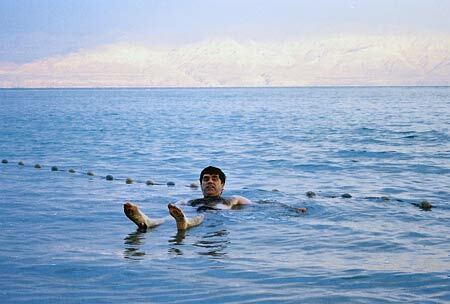 Nothing lives in the Dead Sea... but he did.